If you live or work in the Nashville, Tennessee area then you’ve seen all of the amazing billboards plastered all over town announcing the Odysseo by Cavalia show. A few days ago the raising of the largest touring tent went up and it was amazing. You can see this amazing tent if you drive by Orpy Mills on Briley Parkway. And when I say its big…. it’s B I G! 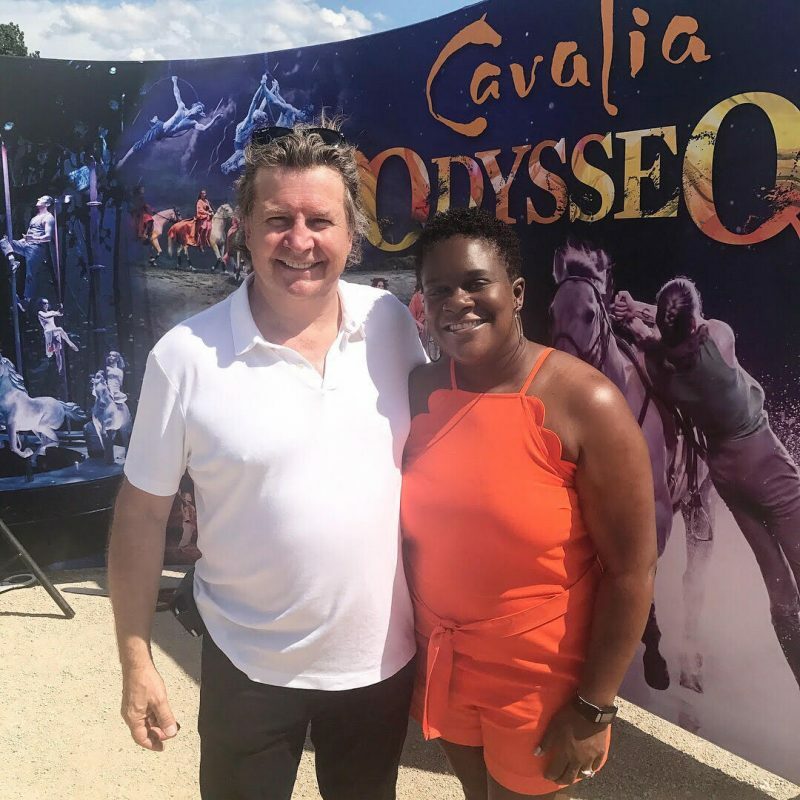 While the White Big Top rose to the sky, I along with guests and members of the press toured the impressive site that will soon host the epic experience Odysseo by Cavalia – a breathtaking production featuring more than 100 horses, riders, acrobats, dancers, aerialists and musicians. 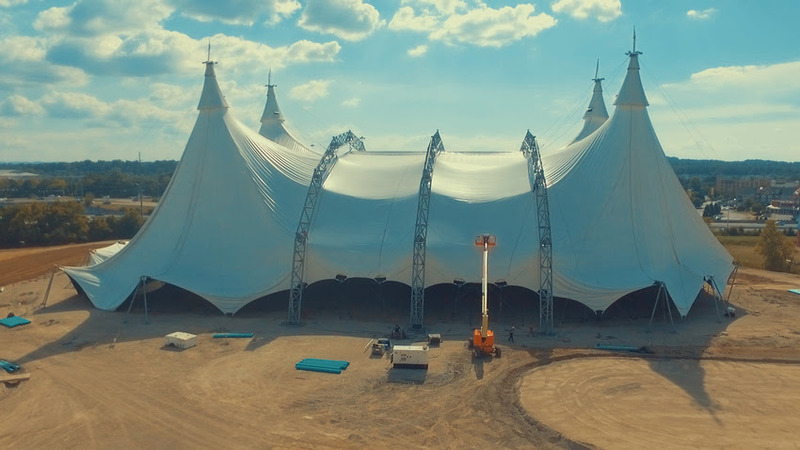 Standing 125 feet tall and covering a surface area of 58,397 square feet – the size of a football field – Odysseo’s exceptional White Big Top is a mix of art, technology and advanced engineering. The surface covered by the White Big Top is 58,397 square feet, the same size as a football field!